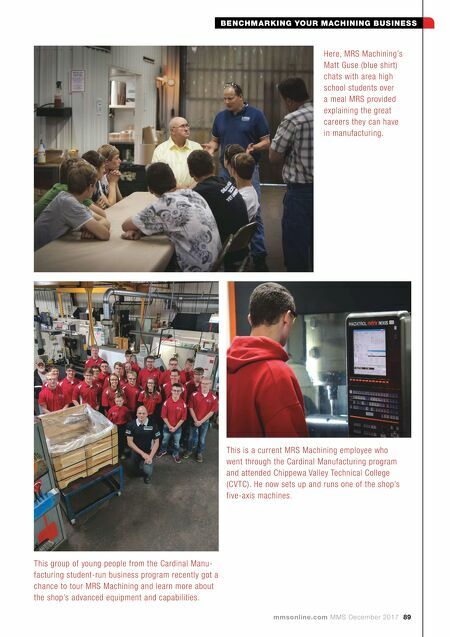 BENCHMARKING YOUR MACHINING BUSINESS mmsonline.com MMS December 2017 89 Here, MRS Machining's Matt Guse (blue shirt) chats with area high school students over a meal MRS provided explaining the great careers they can have in manufacturing. This group of young people from the Cardinal Manu- facturing student-run business program recently got a chance to tour MRS Machining and learn more about the shop's advanced equipment and capabilities. 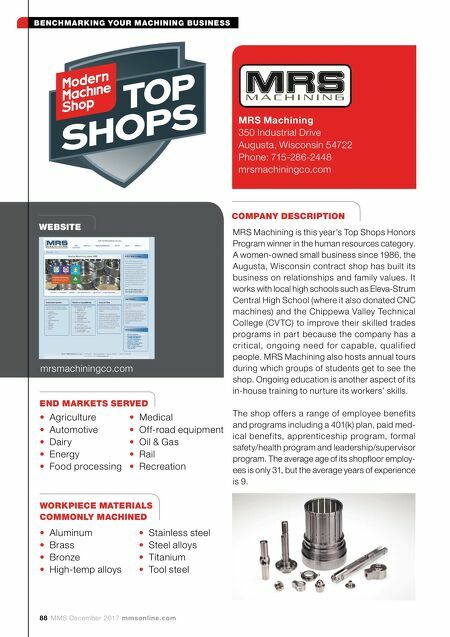 This is a current MRS Machining employee who went through the Cardinal Manufacturing program and attended Chippewa Valley Technical College (CVTC). He now sets up and runs one of the shop's five-axis machines.